Meet some of our the Ministers and get a brief insight to who we are and what we do. The Bishop of Carlisle has appointed the Revd. Charles Hope CF (V) as Priest in charge (Vicar designate) of Keswick St John and Borrowdale with Grange. We welcomie him, his wife Kathryn and three daughters, Megan, Emily and Katie to the parish. Ordained in 1990, Charles Hope has served all his ministry in Newcastle Diocese. He was curate and then vicar of the inner city parish of Percy Main on the banks of the Tyne before being appointed vicar of Prudhoe in 2003. As well as his parish work, he has been much involved both in community projects in Prudhoe and as a Territorial Army chaplain. He served a six month tour of duty in Iraq in 2004 as a Territorial Army Chaplain. He was chair of a sub-committee which delivered a £2 million Civic and Community building in Prudhoe. The Rev Charles Hope will also take responsibilty for the Borrowdale Valley following the retirement of Revd. 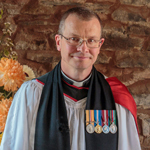 Gay Pye last September and will also play a leading part in the setting up of the Keswick Mission Community which will draw Anglicans and Methodists closer together in organisation and outreach within the town and surrounding villages. Read Keswick St John monthly letter here. 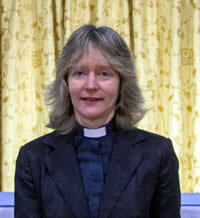 Revd Helen Marshall has been involved in ministry at St John’s since 2009;. Read more..